"Hmmm...I expected you know my name, For reasons I don't know I was known throughout Twilight Town when I was a kid....And I'm here because this is the First time I've seen this building even though I did grow up in Twilight Town." I sit down in a Chair infront of Yen Sid's Desk. "How did you know I wielded a Keyblade?" Strong Hearts attract each other child. Also do you think those heartless and nobodies were just random attacks? "Yeah...I thought they were. 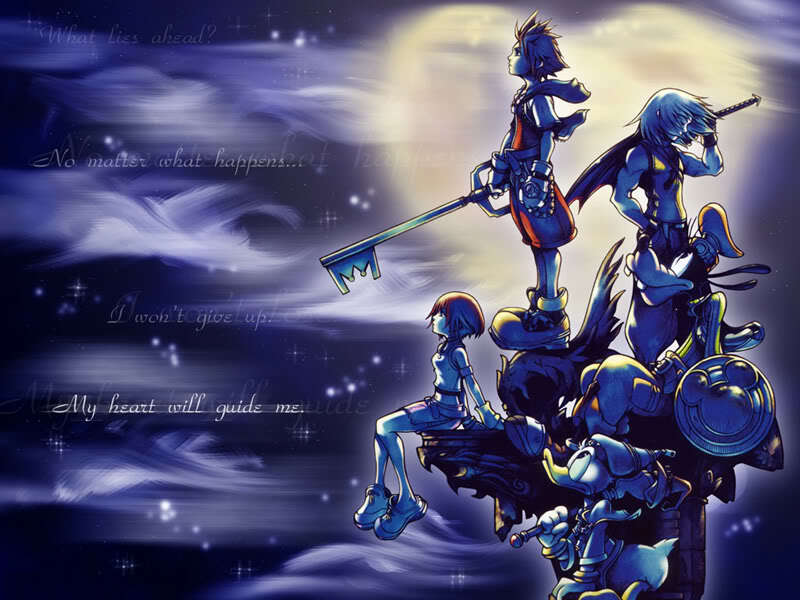 I always thought Heartless attacked Randomly." No child The heartless and nobodies attack those of strong hearts. The heartless wish to take your strong heart and transform it into one of them.. The nobodies want to claim your heart for their own. While being a keywielder you will always be found by the heartless and nobodies. "I See....I guess it will be Troublesome fighting them off all the time but whatever. Anyway what is your name?" "Intertwined? Well...Something to aide me on my Journey? What is it?" My Cloths begin to change as the Light hits me. "W-Whats happening?!" "Muster...My Valor..." As my Cloths turn red suddenly in my other Hand a Second Keyblade appears. "W-What? Why do I have two Keyblades?" "Y-Yes Sir! I'll be going now Sir....Hope to see you again one day." I walk out of the room and leave the Tower. takes a deep breath "about time now heh he probly wont even let me in or hes not even there but i have to see him"
leans on the wall looking at you "so you never told me ur name"